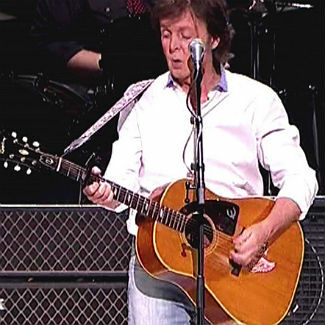 Paul McCartney joined by remaining Nirvana members for Seattle gig. Beatles Radio: The Beatles, Solos, Covers, Birthdays, News The Fab 4 and More! Former Nirvana members Dave Grohl, Krist Novoselic and Pat Smear joined McCartney to perform Beatles classics such as 'Helter Skelter' at Seattle's Safeco Field to mark the venue's first ever music concert. The Nirvana trio stayed on during McCartney's encore to play along to several Beatles hits including 'Get Back, 'Long Tall Sally' and 'The End'. McCartney first played with Grohl and Novoselic at the Hurrican Sandy Benefit concert in December before being joined by Smear to play 'Cut Me Some Slack' - a song they recorded together for Grohl's Sound City film project - on Saturday Night Live.